It is a kind of cement-aggregate – the usage of this additive enables that dry materials with different density (cement and polystyrene) with theadding of water, can be compounded to a homogenous consistency that is to say water doesn’t leak out from the ready mortar during the compounding procedure and after it and the polystyrene stays inside. The whole material dries in a way that the different component parts stay compounded. 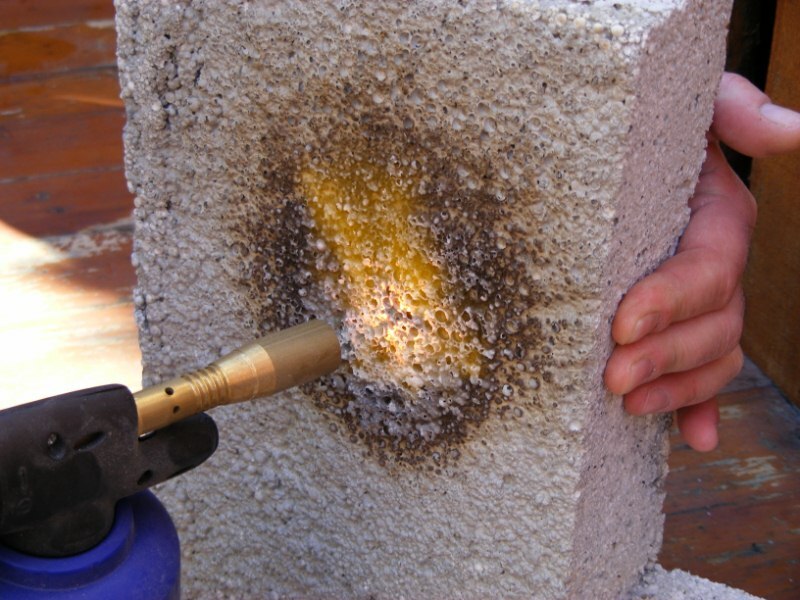 This creates a lightweight concrete with unique properties especially in insulating. By the usage of this method heating costs are decreased by 30 to 90 percent, therefore climate control can be substantially decreased or even stopped. The efficiency of heat insulating depends on the thickness of the layer; by the augmentation of the thickness of the layer or rather by the decreasing of the density of the material (100-300 kg/m³) – the heat transmission factor (U factor [before it was called as K factor]) will be lower. The heat conductivity factor (λ) at a density of 300 kg/m³ will be 0,082 W/mK, at a density of 230 kg /m³ will be 0,069 W /mK, and at last at a density of 150 kg /m³ will be 0,056 W /mK. We can use it anywhere - the heat insulating and steam handling properties are much better than at any material that have been known before. Watertight: Can be an advantage at metro constructions, but also useful for the post-insulation of cellars. Breathable: It detains the closeness of the wall. Consistent: According to other heat insulating materials it has a big compressive strength (at 300 kg/m³ it is 1,4 N/mm²) At the insulation of the slab it is much more effective than the polystyrene panel. where irrespectively of the skeleton it can be pumped to the network of shuttering as a filling out wall. The GBH resalcon is particularly the most modern heat insulating material because of the properties listed above.